The Shepparton’s Biggest Ever Blokes Lunch wouldn’t be as successful as it has been over the years without the tremendous support of local businesses who continue to dig deep year after year. 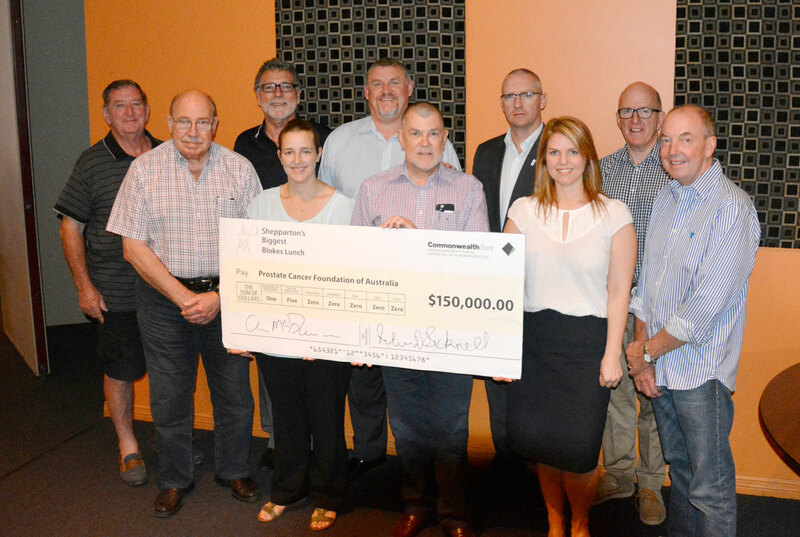 Photo: Chris McPherson, the man behind the launch of the Blokes Lunch concept, who sadly lost his own battle with Prostate Cancer in December 2015 pictured with members of the Committee handing over one of the many cheques from funds raised. The money goes towards funding a prostate cancer nurse position at GV Health.